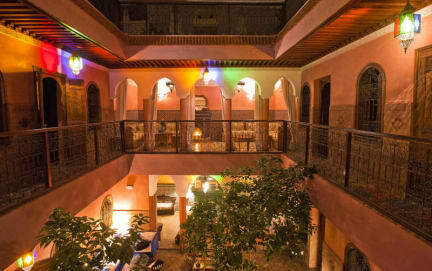 Riad Lakhdar i Marrakech, Marokko: Reservér nu! Group bookings need to be atleast 1 month in advance. 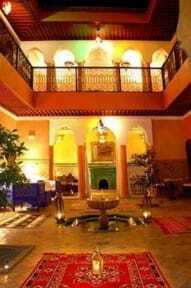 A modern riad with 6 rooms, all with air conditioning, heating and private bathrooms 4 of which are huge. Traditional craftsmen used - tiles, stuccoed design ceilings, tadlakt walls, ceiling lanterns, colored glass windowpanes, wrought iron balconies, fountains, custom design furniture with folk art - in realizing this dream.